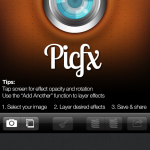 Picfx is an app created by ActiveDevelopment. It costs $1.99 and is available on the iPhone, iPad and iPod touch. The great thing about this app is that it lets you add an unlimited amount of effects to your images. Picfx comes with over 100 effects that are organized in these categories: Urban, Classics, Vintage, Cross Process, Premixed, Black & White, Scratches, Light, Textures, Space, Grunge and Frames. By using layering these effects in limitless combinations, you can create any effect imaginable. You can also control the effect’s overlay mode to be: normal, black & white, sepia, dark, bright, vintage, blue strike, red strike, and green strike, warm, cool, soft blue, soft red or soft green. Once you’re done with your effects, you can save your image, share it, or upload it to Instagram. Combing over 100 effects means that there’s basically an infinite amount of effect combinations. 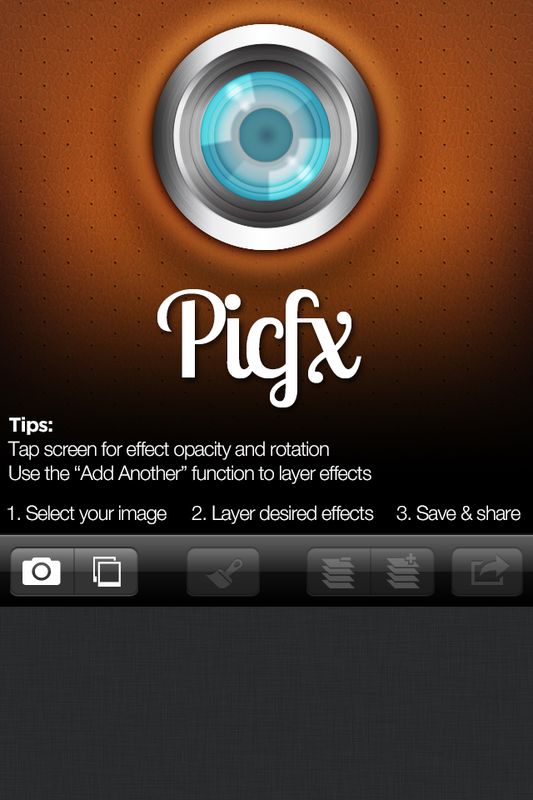 Picfx provides its users with more effect customization than any other app out there. And it does all of this by only taking up 26.1 MB of space on your device. Picfx would be better if you could add an unlimited number of your own photos to projects. This would allow users to download textures off the internet, and to use them freely within Picfx. If you’re an effect fanatic, or you want to create really great images, then Pixfx is worth every dollar. $1.99 may be a bit expensive seeing that it doesn’t support layering you own images/textures; but Picfx is still a very great app to own.